What two ingredients are used to make science fair volcanoes? Question: What two ingredients are used to make science fair volcanoes? 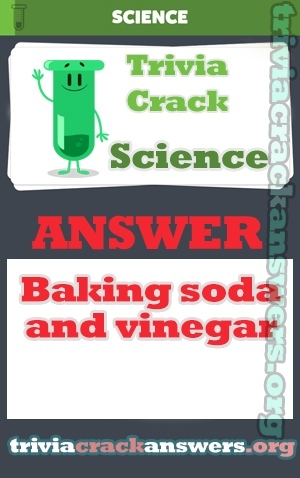 Answer: Baking soda and vinegar. In what U.S state would you find the Space Needle landmark? To what art movement does Góngora belong? Wie heißt die Hauptfigur in “Berlin Alexanderplatz” (1929)? Who’s the current president of the UEFA? What is outermost layer of skin in the human body called? In “The Fault In Our Stars” where do Hazel and Gus meet? Um welche Art von Krankheit handelt es sich bei SLE, die umgangssprachlich auch “Lupus” genannt wird? From what country is the soccer club Juventus? Which country does not share a physical border with France? What city is known as “the Paris of South America”?